Alex is the CTO and co-founder of PagerDuty and responsible for the strategic direction of the company's product and technology. With the mission to help critical business technologies stay up and running, Alex is passionately attuned to PagerDuty customers and digital business operations. 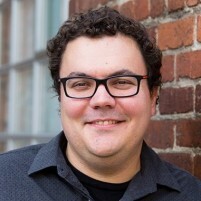 Prior to PagerDuty, Alex spent time as a software engineer at Amazon.com, where he developed and maintained large-scale systems to help its Supply Chain run efficiently and reliably. He graduated from the University of Waterloo with a B.S. in Software Engineering. One of the most important tenets of DevOps is the concept of continuous learning: always looking for ways to improve your processes, tools and overall operational effectiveness. This becomes even more important after you’ve had a major incident / outage. Your team can use the incident as a learning opportunity by conducting an effective post-mortem. This session describes how to create an effective learning feedback loop as part of your incident management process, by conducting a blameless post-mortem. We use a real-life incident post-mortem from PagerDuty’s history as an example. We’ll cover what goes into a post-mortem investigation, what goes into the actual post-mortem report, and touch on the importance of blamelessness as part of your PM process.